This page was designed to help our clients better understand our Oregon Firearm Rights Restoration service. You will find answers to the questions we are most frequently asked. 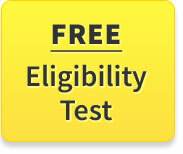 If your question is related to eligibility requirements please take the free online eligibility test. It is difficult to say the chances of you being granted an Oregon firearm rights restoration without researching the exact details of your case. For a thorough analysis of what is on your record and what options you have, we charge a researching fee of $250, which we apply to the cost of any service that you hire us to perform. What if I am convicted of a new disqualifying crime after being granted the restoration of my firearm rights? The court that restored your firearm rights will be notified and may decide to terminate the order that previously restored your firearm rights. What if I don’t know exactly what is on my record? If you are not sure what is on your criminal record or how it affects your firearm rights, we would be be glad to work with you to get a copy of your record and review what can be done. We charge a researching fee to obtain all the information and analyze your case. That evaluation fee would then apply to the cost of any service that you hire us to perform. Can I restore my gun rights and expunge the conviction at the same time? Expungement of your conviction in Oregon will automatically restore your firearm rights. (ORS 166.270(4)(b) & 166.470(1)) You do not need to have your firearm rights restored in addition to expungement. What is the main reason that a case is denied? If your case is denied, the reason is usually because of (1) an inaccuracy in the court file, (2) the serious nature of the offense, or (3) the court believes you still pose a threat to the public or yourself. What if I only have one felony conviction that did not involve criminal homicide or the possession or use of a firearm, butterfly knife, or switchblade knife, and 15 years have passed since the completion of my sentence? Your rights were automatically restored in Oregon and you do not need firearm restoration. 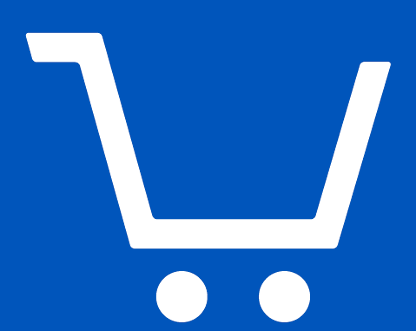 (ORS 166.270(4)(a)) If you are unsure of this or are still having difficulty purchasing a weapon, please contact our office. Can I restore my firearm rights in Oregon if I was convicted of a federal crime? Yes, if you meet all the requirements, but the process will only restore your right to possess a firearm in Oregon and will probably not lift any federal prohibition on your firearm rights. This means that even if you are granted this relief, you will likely still be banned under federal law from owning a weapon. What if I have felony convictions in other states? In order to determine if we can restore your firearm rights, we must evaluate the laws of each state involved. If you would like us to evaluate your case and determine if the restoration is possible, then we can do so for a fee of $250. If you then sign up for the firearm rights restoration, the $250 will be applied to the total. What if I have a misdemeanor conviction? In Oregon, there is a four-year ban on the purchase of firearms after a conviction of a misdemeanor involving violence (ORS 163.160 (Assault in the fourth degree), 163.187 (Strangulation), 163.190 (Menacing), 163.195 (Recklessly endangering another person), or 166.155 (1)(b) (Intimidation in the second degree)). ORS 166.470(1)(g). This process can restore your rights prior to the expiration of four years. ORS 166.274(1)(b). If you continue to be denied the purchase of a firearm and more than four years have passed since your misdemeanor conviction, you may fall under the federal misdemeanor domestic violence ban. What if my case was a conviction for domestic violence? You are still eligible for restoration under this process so long as all your felony convictions pass the eligibility test. What if I currently live in a state other than Oregon but I was convicted of a felony in Oregon? Unfortunately, Oregon firearm restoration is available only to those who currently reside in Oregon. However, you may be eligible for expungement of your conviction, which can also restore your firearm rights. Typically, the Oregon restoration process takes about four to six months. However, that is the average and some cases will take less time and some may take more time, depending on the facts of the case, whether the State is agreeing or objecting, the age of the case, etc. We work on our case as fast as we can and assist the court and State in anything they need to get your case heard and decided. Can my case be done faster? The courts work on cases on a first-come, first-served basis. The sooner you get started on the process, the sooner your rights can be restored. In most cases, no you will not need to appear in court, as our licensed attorneys go to court for you. However, the judge may require your appearance. What happens after my gun rights are restored? You will receive a copy of the order from the court restoring your gun rights. The court will update their records and send the granted order and a fingerprint card of your fingerprints to be entered into the Oregon Department of State Police computerized history files. How long does the process take for the records to be updated? After your case is granted, it typically takes 30 to 60 days for all the relevant government agencies to update their records. You should keep a copy of your granted order just in case there any issues in the future with an agency not having record of the restoration. If your restoration request is denied, we determine the reason for the denial and the best way to proceed, which can include refilling in a year or a recommendation that you take additional steps before refilling in order to give the judge the necessary level of comfort to grant your case. Do you have a money-back guarantee on OR firearm rights restorations? No, unfortunately, because the process involves a lot of work and can require several appearances in court by our attorneys, we do not offer a money-back guarantee on this service. We simply cannot afford the guarantee in addition to this low of a price.